The Adventures Of the Olson Clan: GPS is Up and Running!! Before we came to Italy we got a GPS from a pawn shop in South Dakota. Its something you need here. We had to purchase the European map downloads/updates. So we did. But little did we know it was going to take a million years to download. The internet in our hotel room on base is very weak. It stops working all the time. And is super slow. I went to the computer lab on base to try to update. And it took 45 min just to get to 11% done. I googled about it, and read that updates can take up to 3hrs! So I left! 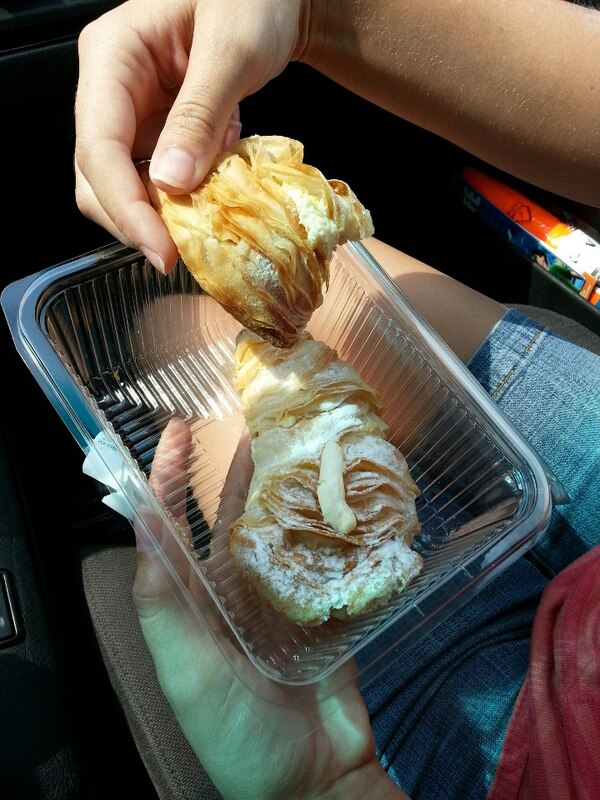 But Josh found some really tasty pasteries so we bought a lobster tail. Not sure what its called in Italy. But I rem seeing it on Cake Boss! And always wanted to try one. So a day of driving around. Then this afternoon we went to our house. We meet the landlord there and picked up the key. The house looks great and the yard is done also. They did days worth of cleaning and cutting trees, cutting the grass ect. We move in tomorrow and we cant wait!